Genika Astro supports external dll written by users. 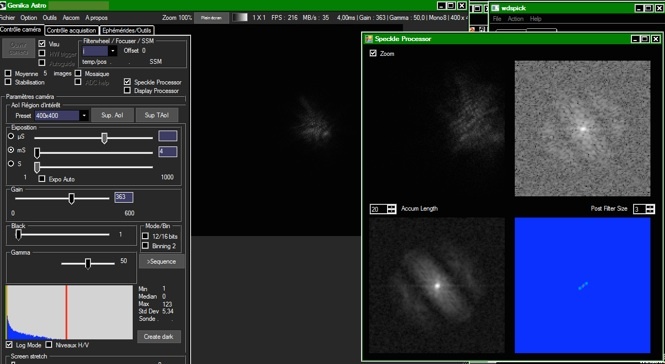 LiveSpeckle is a plugin dedicated to the observation of double stars. LiveSpeckle computes and displays in real-time the power spectrum and the autocorrelation of a double star image. These signatures are often used to establish the duplicity of a star when it cannot be infered from the direct (spatial domain) image due to seeing conditions.